Someone is going to have to sit me down and explain to me how, even on a team as trash as the Grizzlies, Chandler Parsons is the 2nd-highest paid player. Parsons was signed in the summer of 2016. The Grizzlies bet on him being healthy, and he wasn’t. Kobe Bryant just won an Oscar. Your move now, King James. Just saw that and was confused. I want to see a Space Jam sequel now where Steph Curry and LeBron get recruited by Bugs Bunny and Daffy Duck to join their team and bicker back and forth like Bugs and Daffy before they realize it's Elmer Season. And Giannis is one of the Monstars. Not transformed into a Monstar, mind you, just a straight up Monstar. 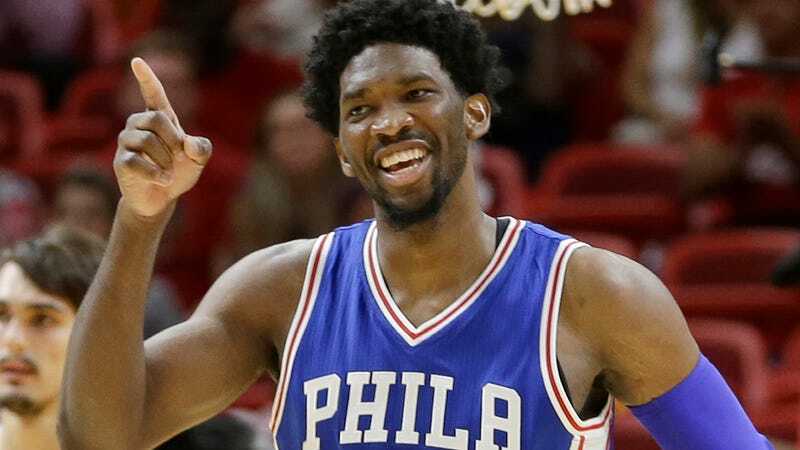 So's Joel Embiid. When he launches a 3 from 2 feet behind the line... just plain silly. Harden was unplayable Friday against the Raptors, it felt like he could get to the basket whenever he wanted. I still think they're going to be less good when bench rotations get shorter in the playoffs but it was a fun to watch the Raptors win that game. I didn’t think he was unbelievable. The Raptors let him get to the rim and shoot floaters and lobs but, more so in the first half, eliminated the 3 and put a lot of pressure on him defensively. I’m hoping the Raptors don’t change their rotation unless it’s really needed. It’d be fun if they can bring in the new trend in the NBA. The problem is the bench units will be playing starters more often, which usually doesn’t work out so well. But it would be a welcome change for sure. 5 of the 6 best Celtics players will be out tonight. Should be a route by the Wizards. Man I feel bad for the people that paid for tickets. Also I just saw Curry is turning 30. He is sneaky old, it doesn’t seem like he should be that old already. I thought Curry was older. Seems like he was hurt a long time with the ankle injuries. Some how this turned into a 2OT 1 point loss for the Celtics. Go figure. Better than the Bucks loss to the Magic (big shocker). Minus. Ninety. Four. Points. Per. One. Hundred. Possessions. I thought getting rid of Kidd in the middle of the season was going to solve their problems? It has been better, but Prunty has not changed the antiquated offense much and they are still giving up a lot of corner threes. He is an assistant coaching for a head job. Henson has finally developed into a good back up 5 who is unfortunately starting. The worst Zeller is the best banger option. Brogdon being out has hurt them a lot on both ends. I still don't understand a defensive scheme that allows so many rim runs and open threes in this day and age. So all of this recent talk about the one-and-done rule, I have always thought the NBA should have a 21 years old age minimum. I think it would make the entertainment value and games better, and it would make college games better. Plus just all the stuff that goes on around an NBA lifestyle, I think 21 year olds are better equipped to deal with it. Doesn't the NFL have a similar rule? I haven't really heard a good argument against this, most people just say that players should be able to work if they are capable, but we have seen over and over again that for every high school player that is sort of ready and gets drafted, there are at least a dozen guys that get drafted that aren't ready and end up going nowhere, taking up roster spots and cap space. The one-and-done rule was put in to protect teams from themselves almost. Plus there are plenty of industries that have psuedo-age based rules around employment or contracts. NBA should have a minor league system the same way MLB does. They need to give players other options than the NCAA. 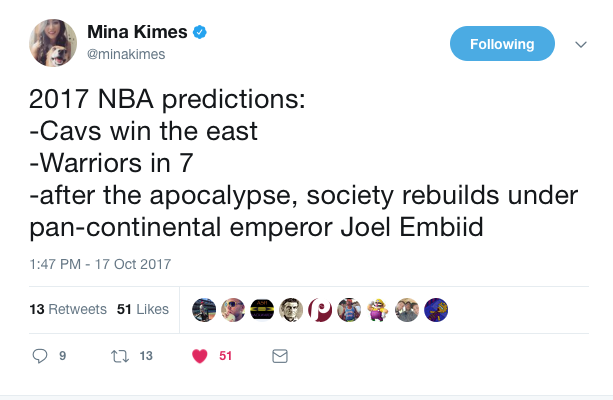 Maybe the G League will become that. There needs to be options besides running off to Europe if you are going to up things to 21. I find the whole NCAA thing is people who like college ball and are nostalgic about it. The reason players are trying to get to the NBA as soon as possible is because they need to start earning on their talent. This isn't where you build your experience for a 30+ year career. If players had a chance to earn earlier and let their skills simmer to when it made more sense to go live they would. Instead it's get paid asap because you haven't made any $$$ and you don't know how long you will. But the natural counter argument there is the NFL, most popular sport and highest revenue, but does not have a minor league like baseball and hockey and requires three years removed from high school. The league and the players manage to make it work. Wayne Rooney scored his top flight/league goal 5 days before turning 17. Age is just a number. People develop even physically at much different times. Not apple to apple, IMO. The physicality and physical maturity required for football is drastically different than basketball. What bhchrist said. And I think people should be allowed to make money at their chosen profession as soon as they’re safely able to / competent in their profession. I don’t want to see the NBA protecting the interests of the NCAA any longer. Let them play at 18 (or 17). Just provide an actual minor league where they get paid for their labor. The problem is people still have the notion that the NCAA actually helps. Crazy thought. LeBron was identified as a phenom at hs. LeBron at the same age in soccer would of entered a professional academy where the entire goal is to prep him to maximize his potential. The NBA is a worse off because of the NCAA. I like the MLB rule. You can declare for the draft out of high school, but if you go to college, it’s hree years to be eligible for the draft. I see some recomoding this plan, but just for two seasons, which I think is fair enough, but three is better. Baseball is unique also. Don't players who could be ace pitchers only start at a certain age because of injury risk? Unless I'm missing something about basketball it's very comparable to soccer in certain respects. If you are a physical phenom at 17 and can dunk right over other professional grade players what's the reason to hold them back. It's the same in soccer. If you dust the other players with your acceleration. Suit him up. Baseball players tend to physically develop and transition to new positions much later than athletes in other sports, so I'm not sure the comparison works. What about AAU and 5 star? These programs exist to identify the best of the best and groom them for the NBA.